My sweet grandmother Nonny raised seven children during the Depression in the dust bowl of West Texas. She somehow managed this through prayer and love, hard work and creative frugality. Leftover biscuit crumbs would be saved and turned into bread pudding. Precious scraps of meat were collected and added to the ever-simmering pot of red beans. (A staple my mother ate so often that it took her decades to make friends with beans again.) Even in her old age when finances eased and groceries were more abundant than people under her roof, Nonny horded every little leftover to be “re-purposed” into the next day’s meal. 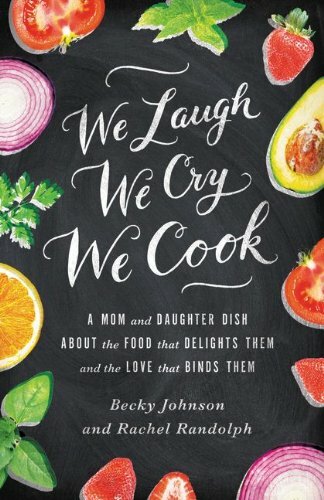 Our generation has just survived its own recession (some surviving better than others), and recent stats show that Americans gained a new appreciation for cooking at home. And for not being wasteful with the food we buy. To make good use of all those leftovers, everyone needs a good Clean Out the Fridge recipe. Pastas and stews are wonderful for this. 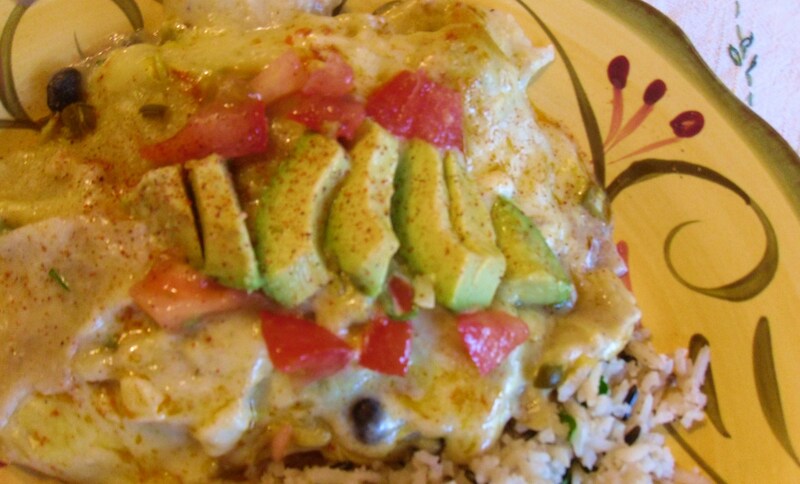 But my absolute favorite way to use leftovers is the following recipe for veggie sour cream chicken enchiladas. If I have a dozen corn tortillas, I can usually cobble together the ingredients for this meal from the bits and pieces of leftovers in my fridge. The key is to think creatively and use what you have. No sour cream? Try a little Ranch Dressing and Greek Yogurt instead. 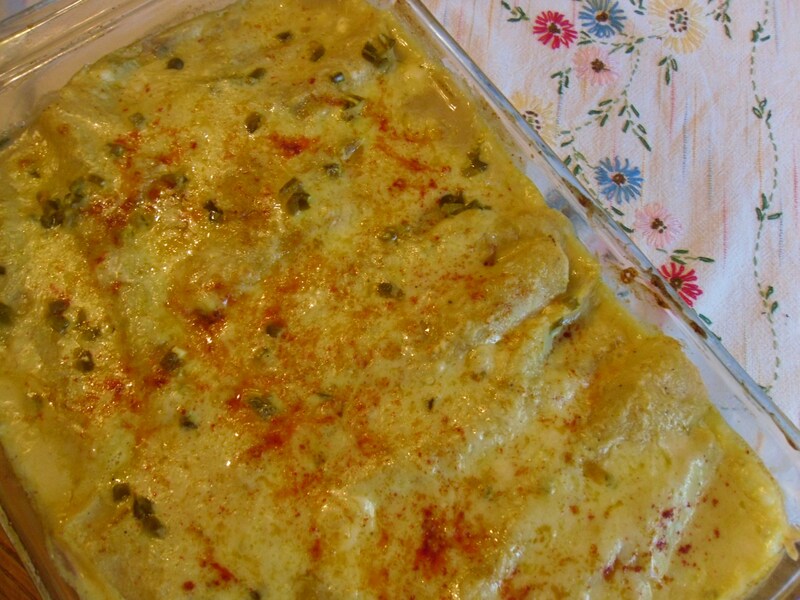 If you don’t have the veggies I use in this recipe, use what you have! Any kind of squash, mushrooms, shredded carrots, greens, in almost any combo will be wonderful. Any combination of cheeses taste great in this recipe, so use up those little bits of leftovers. All beans will work well, too. Heck, you can even use ground beef in this dish and call it “chicken.” I’m easy. Just have fun, use this recipe as a basic guide, and get rid of those leftovers in a tasty way! *Note to Vegetarians: Omit chicken and sub more beans or other non-meat protein. 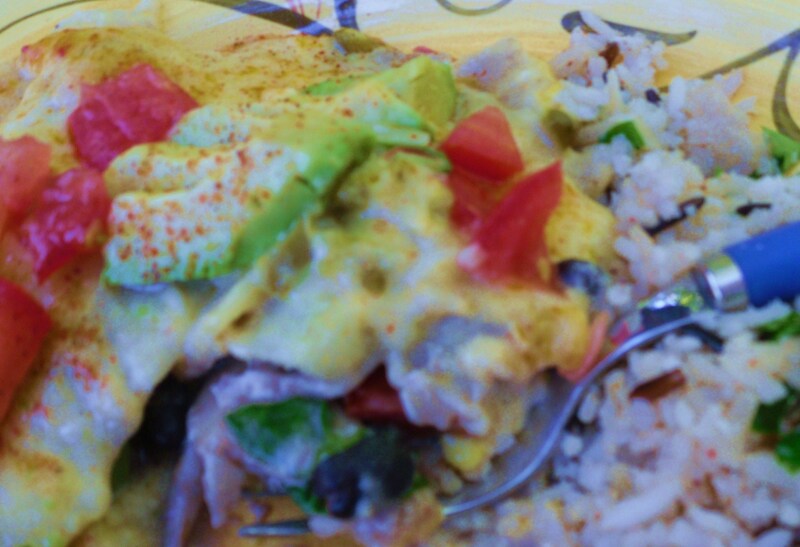 **Vegans: In addition to omitting chicken, use Rachel’s recipe for cashew queso, instead of the cheese sauce. Make it on the thin side as it will thicken up during cooking. Omit cheese in filling and for topping. It will still be wonderful! 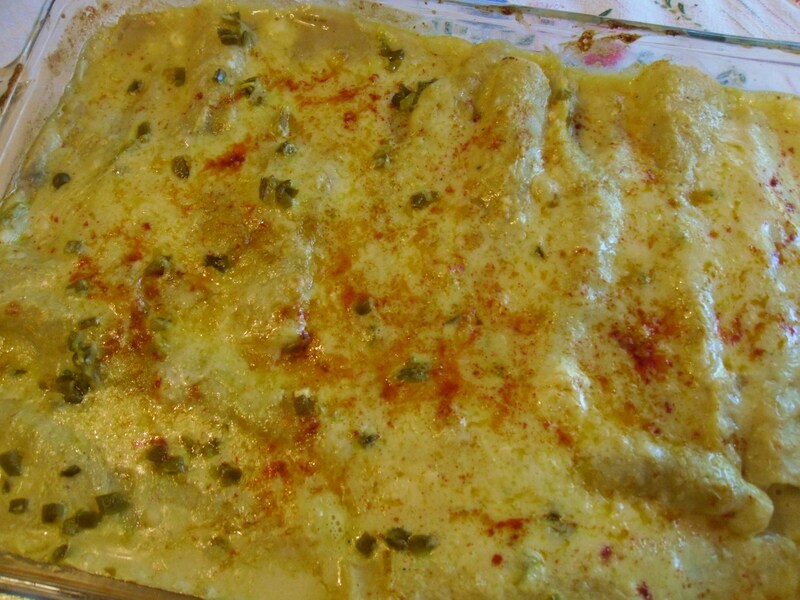 Note: You’ll need 2 1/3 cups grated cheese, total in this recipe — some for cheese sauce, some for filling, and some for sprinkling on top. Saute onions and garlic in oil in skillet on medium high until transparent. Sprinkle ¼ cup flour over all, and stir to make a roux. Pour in veggie broth slowly, and stir over heat as it thickens. Turn down heat, then toss in cheese (1 1/3 c.) and stir until it is melted, stirring so as not to burn. Add drained green chilis. Simmer on low for a couple of more minutes to let flavors mingle, then turn off heat. 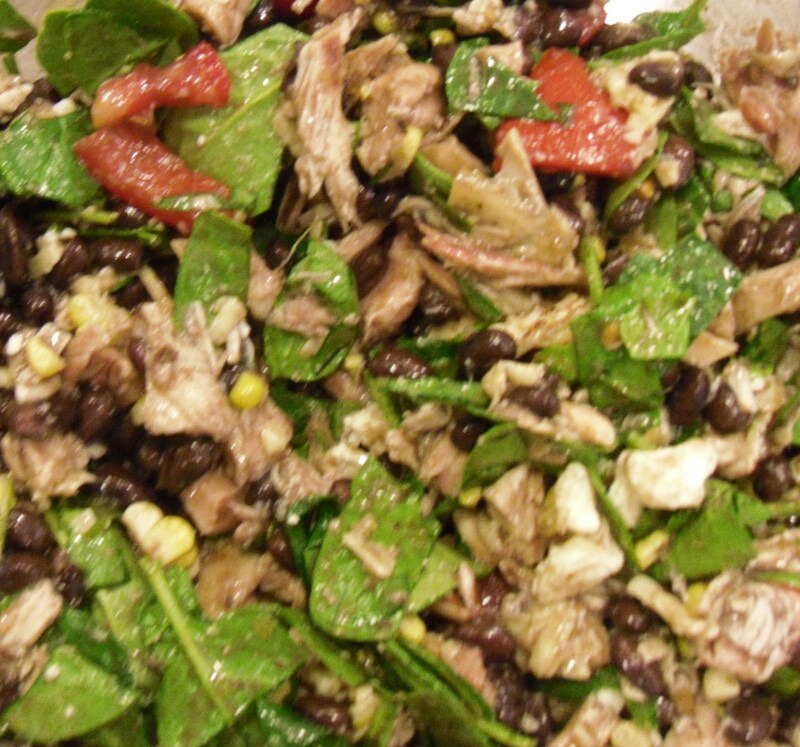 Mix 2/3 cup white cheddar, chicken, black beans, spinach, corn, tomato and seasonings in a large bowl. Check seasonings and adjust to your taste. Wrap tortillas, six at a time in a large damp paper towel. Microwave about 30 seconds to one minute until tortillas are moist, soft and pliable. 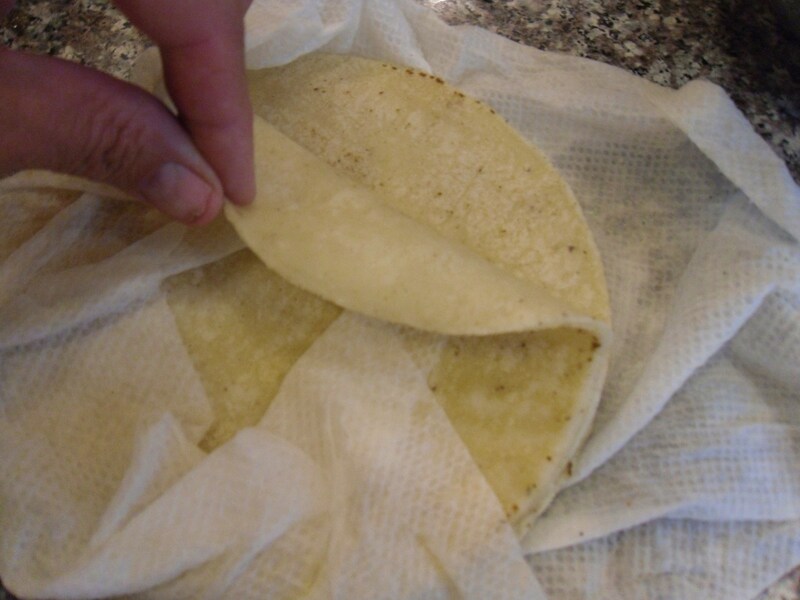 Fill each corn tortilla with about ¼ c of filling. Roll and place seam side down in an 11 by 13 ovenproof pan that has been sprayed lightly with oil. Continue this until the pan is filled. 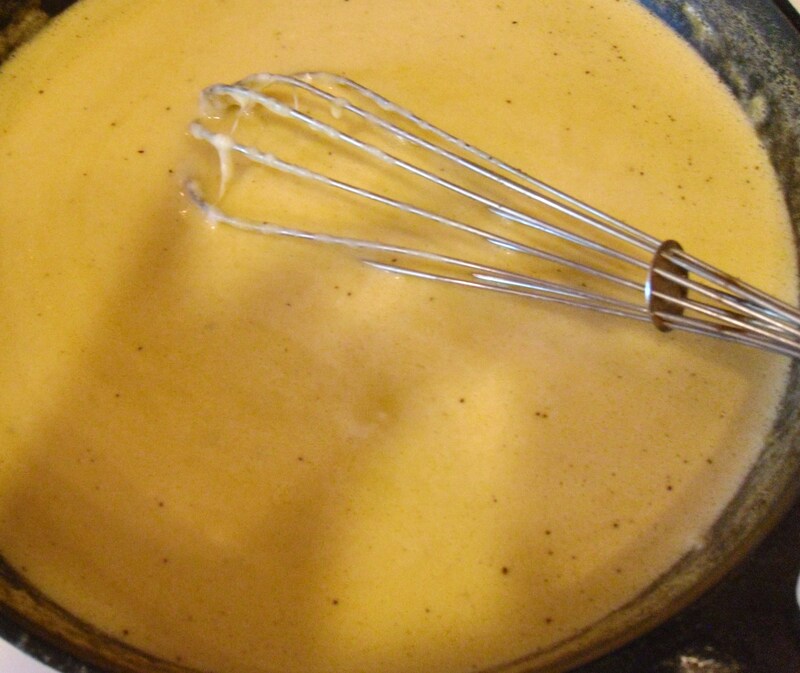 Carefully pour entire pan of cheese sauce over top, evenly. (It is okay if sauce is a little thin, as it will bake and thicken.) 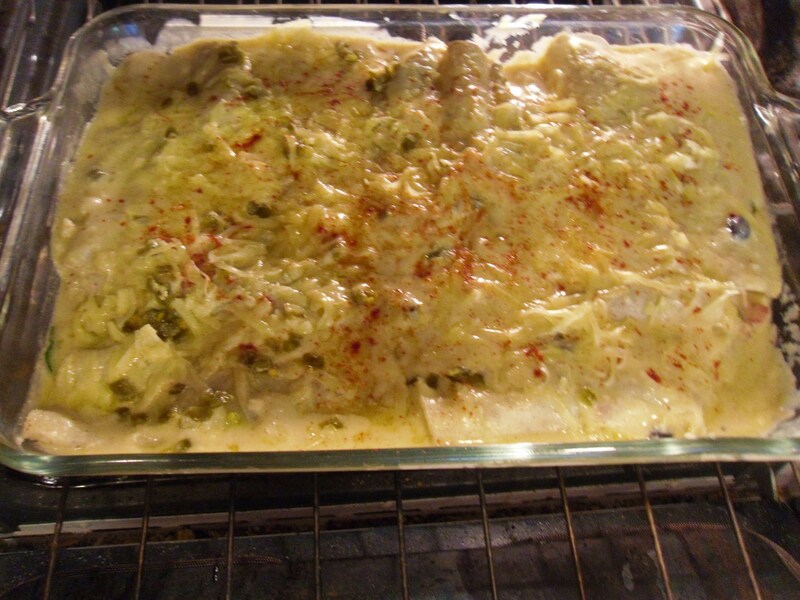 Sprinkle top with 1/3 cup more of white cheese, and about a tablespoon of chopped jalapenos if you like. I like a sprinkle of smoked paprika for color.